Newsmag is a completely free Magazine WordPress theme perfectly fit for a number of sites. This includes online magazines, news portals, sports sites or even personal blogs for the more adventurous. Newsmag features a clean & posh design with emphasis on content organisation & structure. It’s very easy to customize and user-friendly by using only the Customizer. Newsmag Lite comes with a full-page slider to help you grab visitors’ attention at first glance. Sharing is caring, so the theme offers social media integration to encourage users to distribute your content via a variety of platforms. 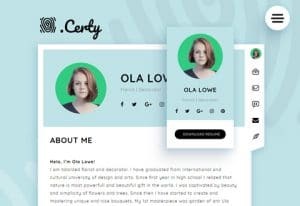 NewsMag also features a flexible layout you can tweak based on your personal preferences and a built-in banner system you’ll fall in love with. 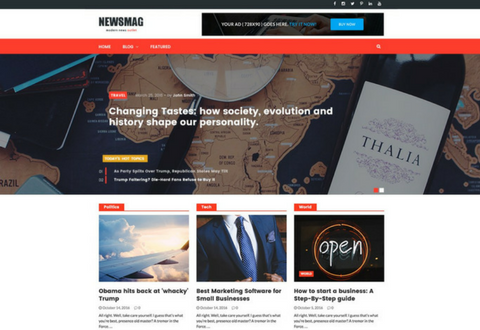 Newsmag is the only free magazine WordPress theme you need to set up a stunning and fully-functional magazine website without any outside help. Give it a go! Customize your theme in real time.